Let’s face the fact guys. Marketing stats are boring as hell. Sure these statistics bring you the results you want. Also, they brighten up your presentation when you know what exactly you are going to say to the people but these statistics don’t mean anything if you don’t even know how to access the data and acquire the central idea to your business. So here we are with an interesting post that not only strips all the statistics to reveal their hidden meanings but also deciphers that code that makes up such statistics. So get on the ride with us as we simplify these boring statistics for you and make them a lot more interesting to read. Whaaaaat??? Yes, we know. It is a bit of a shock for everyone but that makes it no less false. It is the sheer truth that most of the people in the FB don’t even bother opening up the videos for watching them. You see the thing is clicking on a video requires a certain commitment that most people are not ready to make. So they just scroll down and make a move to the next content. So how do you make your content appealing? Well, in video production training, this aspect is covered pretty well. Providing your video with subtitles and making it a short one can be a great start. 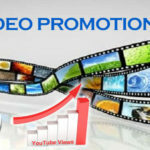 It is no surprise that YouTube is a mandatory platform for a business or any other factor. It’s time to gear up and get your content on this platform as it is the only way your product will get the best views and audience. With the increasing competition, several companies have already put their works on YouTube. You don’t want to lag behind right? Well, with the change of times, the methods to reach out to the people have also changed a lot. Nowadays, it is found that a little educational video about your gizmos and stuff always works. Putting up a little about your services not only attracts customers but it also promotes your brand. Now I know what you are thinking, SnapChat is for the young guns. Well, so was Facebook, and now look where it is. People use it for many different reasons including business requirements. It is an interesting fact that people watch over 10 million videos on SnapChat every day. Putting up your content on this platform can certainly be helpful. It shouldn’t be a surprise to people that those who watch videos, they do it thoroughly. It means that the length doesn’t play quite an important role here. Although quality does. It is important that you take care of that to attract maximum customers. While training Film production individuals, these statistics should be taken into consideration so that they can make their content more visible on the internet.